Typically a city stands out either for its history, its architecture, its people or its culture. However, Mumbai perhaps is one of the few cities in the world which symbolizes a mix of everything. Choosing how to spend your time in Mumbai is as pleasurable for a traveler as it is disappointing – because you can never cover everything. 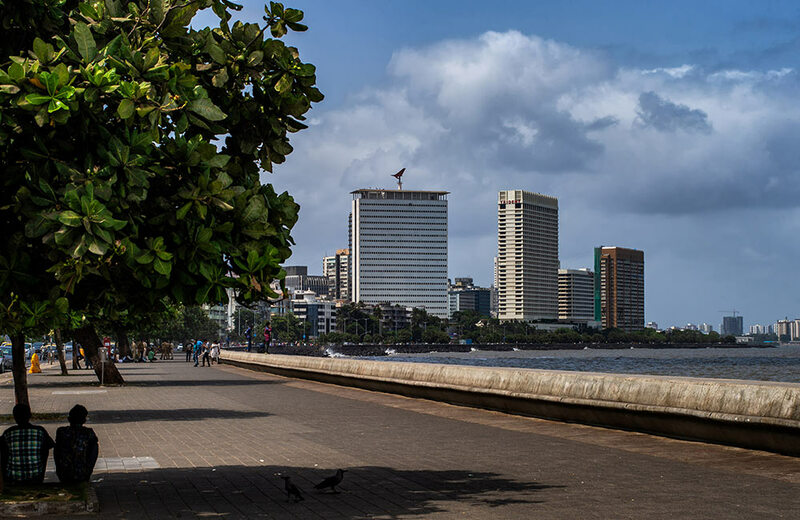 As a travel enthusiast with special love for natural beauty and art, I have discovered multiple facets of Mumbai over time, here’s a list of my favorite places that I visited in a short 2-day tour in Mumbai. After a quick breakfast at the hotel I was staying at, I headed out to spend my first day in Mumbai. Now, I had absolutely no plans and was discovering the city on a whim so my first stop was Kala Ghoda Art Precinct! It could be the art that attracted me or the laidback charm of the place, but I was there until the hunger pangs struck. Kala Ghoda Art Precinct is an area which is buzzing with some of the most famous art galleries in Mumbai including the lovely and prestigious Jehangir Art Gallery. Almost every Mumbai artist’s dream space to exhibit their work, Jehangir is home to some of the most inspiring art pieces. I also happened to visit Museum Gallery simply because the art work outside the gallery was stunning. The Museum Gallery is a contemporary space which gives aspiring artists a platform to display their unique art. The pieces here are quite unusual and definitely deserve all the attention they can get. Now even though hunger was taking over, I couldn’t leave without visiting National Gallery of Modern Art. The most impressive structure in the precinct, the National Gallery is among the finest National Galleries in India; the most prominent one being in New Delhi. 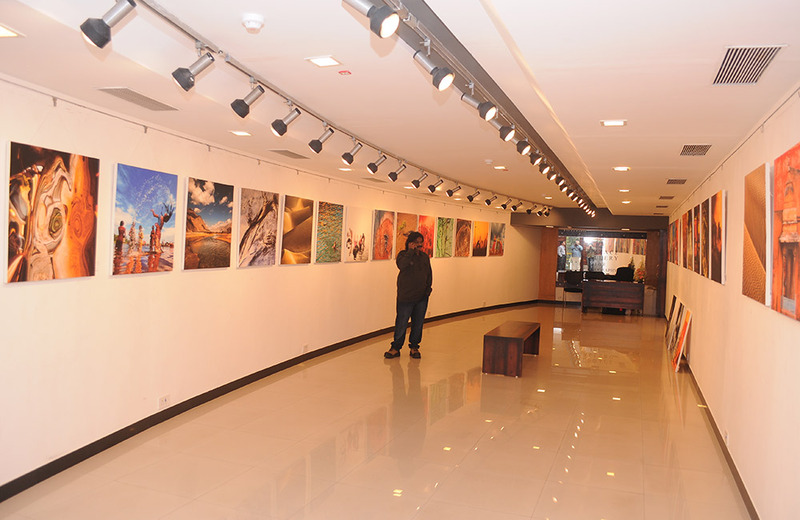 Home for Indian and International artists, the gallery went through major renovation. Today it is a welcoming and vibrant space for artists and a must visit for art lovers. From Copper Chimney to Kyber to the popular Kala Ghoda Café, the restaurants lining the Kala Ghoda Art Precinct shouldn’t be missed. I knew my next stop was Leopold Café so I made peace with a tall glass of cold coffee with a small sandwich at Kala Ghoda Cafe. One of the most popular cafes in Mumbai, Leopold is almost iconic in the bustling city. Featured in a famous literary novel, Leopold is always bustling with visitors. Mid-night here resembles noon since the flow of visitors never seems to stop! The food here is nothing out of the ordinary but this can’t be left out of your Mumbai visit. So close to happiness and yet so far! I say this because I had only an hour to explore Colaba Causeway and that’s never enough for a souvenir hoarder! The market is buzzing with shops selling everything from jewelry to clothes to knick knacks that perhaps you’ll not find anywhere. It’s also a great place to shop for antique jewelry pieces. After Colaba, I made my way to Banganga Tank. Located in South Mumbai, this might be an unusual choice for some. For me it was a peek into the past of a contemporary city. It’s true that Mumbai is a city of multiple perspectives, but I truly felt the difference when I was here. An ancient water tank, it’s one of the oldest structures dating back to the Hindu Silhara dynasty. Featured in many movies, paintings and photographs, the tank is surrounded by the city’s skyscrapers and almost feels like a different part of the world. The end of my first day was marked by a visit to Juhu Beach and a dinner of street food. From pao bhaji to bhel puri to a bite of anda burjee, it was a meal I’ll remember for quite some time. The day began with a hearty breakfast of poha and namkeen from the roadside stall outside my hotel since I knew I’ll need ALL the energy for the day I had planned! My first stop was Chor Bazaar! I had heard so much about this buzzing market I knew I had to explore it! I ensured my wallet and other valuables were safely inside the hidden pockets of my big bag since this market is infamous for shoplifters. The first look of the market is a blast of colors and it takes you a minute to register the closely packed shops and the number of vendors selling goods in their carts. I was looking forward to the antiques here and I was pleasantly surprised with the variety of goods in the market. Of course, bargaining here is a must else you’ll be shelling out far more than the worth of the goods. 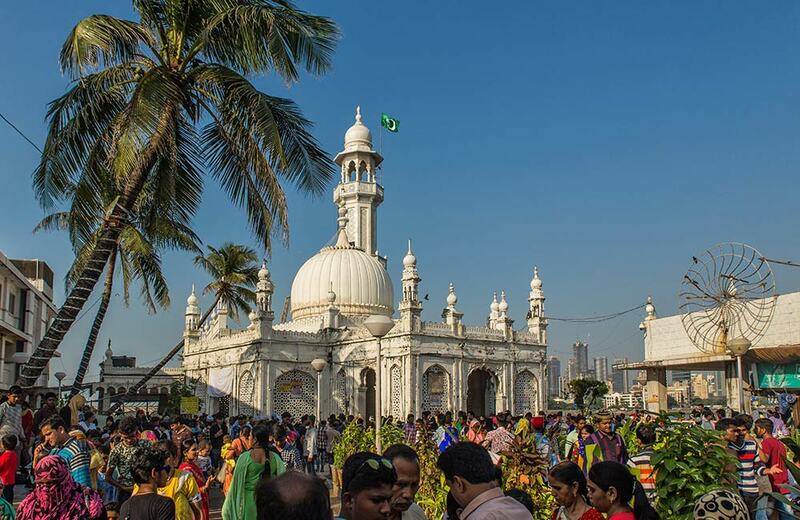 After a very tiring couple of hours at Chor Bazaar, my next stop was Haji Ali Dargah. Due to the high tide, I had missed visiting the Dargah at my last two trips and I had to make sure I covered it this time! This beauty is both a mosque and tomb and was built in 1431. Situated in the midst of the sea and accessible only during low tide, this is a must on your places to visit in Mumbai. Right outside Haji Ali Dargah is the Haji Ali Juice Center and yes it’s every bit worth it. I thought I’ll grab a quick juice and head to lunch but all my plans changed after a hearty helping of the mixed fruit shake! 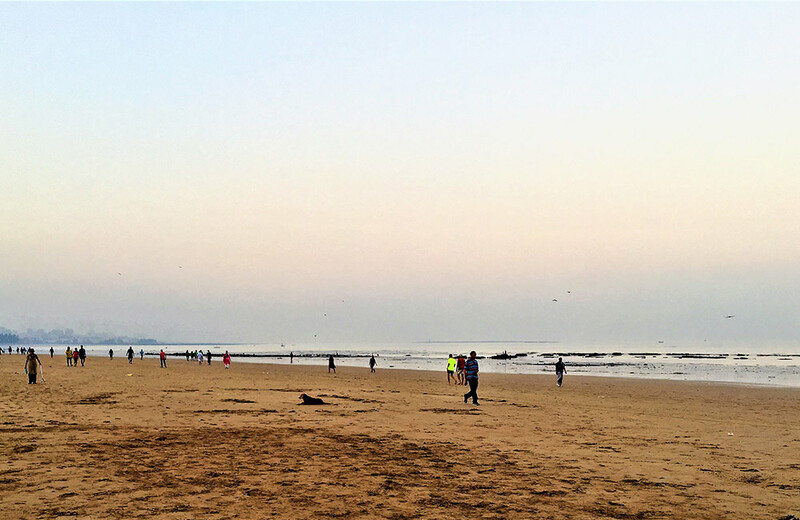 I skipped lunch and headed to my next destination on the last day I had in Mumbai – Aksa Beach. Over an hour’s journey from Haji Ali Dargah, Aksa Beach is one of the quietest beaches in Mumbai. While the energy of Juhu Beach is exciting, the calm of Aksa Beach is what you need after two exciting days in Mumbai. The beach reminds one of fun family picnics and picture perfect sunsets. Though, there are lots of eating joints here, it’s not as crowded as some of the other beaches. Also, ensure you take a cab right after the sun sets since it gets a little crowded and a cab back is difficult to find. After an eventful evening at Aksa Beach, I knew my next stop had to be The Bombay Canteen. After hearing so much about this absolutely wonderful restaurant, I wanted to know what the fuss was about. The restaurant claims to trace the journey of different cultures in India and translate that into culinary delights. When you enter the restaurant, the open space and the warm interiors are almost effortless and instantly set the mood for the meal to follow. The menu here is seasonal and perfect for anyone who wants to try something different in Mumbai. After this hearty meal, I made my way to Marine Drive; because let’s be honest which Mumbai trip is complete without a trip here. The gorgeous skyline and the soft murmuring of the sea with a hot cup of tea was all I needed. Marine Drive tends to get a little crowded in the evening but there are spaces you can find which are quiet and away from the crowd. As the night slowly set in, I booked my cab back to the hotel and dreamt about these absolutely amazing two days in Mumbai!